* Each additional person is $28 each. Must mention promotion at time of reservation. Not valid with any other offers, coupons or discounts. Filing your taxes is never fun. Let’s celebrate checking that one off our to do list with a meal at Rodizio. Enjoy $15 Off The Purchase of Two Full Rodizios + a Dessert to Share. *Must mention this promo to your server. Not valid with any other offers or coupons. Fridays during Lent, we are featuring a Lent Dinner Special for $29.99! Enjoy our abundant seafood offerings on our Gourmet Salad Bar featuring Seafood Salad, Ceviche, and Moqueca Coconut Fish Stew plus a Garlic Dill Butter Swai Fish filet with Passion Fruit sauce. Celebrate Mom with a delicious culinary vacation to Brazil! Restaurant Week is a great time to come back for another visit or try out our bountiful Brazilian dining experience for the first time. * Not available with any other offers, specials, or coupons. Dessert not available to go. Every Monday night we are saying thank you to our military and first responders by providing 20% off with Military Appreciation Night. Those that have served or currently serve in our military, EMTs and members of local police and fire departments (with proof of service) enjoy 20% off your entire food bill*. Can't make it in on Monday? We offer 10% off for all military and first responders every Tuesday through Sunday! For a limited time, replace your windshield with A & E Auto Glass and get a free Full Rodizio, plus $140 cash back from A & E Auto Glass. Plus, bottomless mimosas ($15.99) and $6 bloody marys during brunch. *Coupons and offers are not valid on Easter. Celebrate that special bond between Mother and Son on Mother's Day weekend. 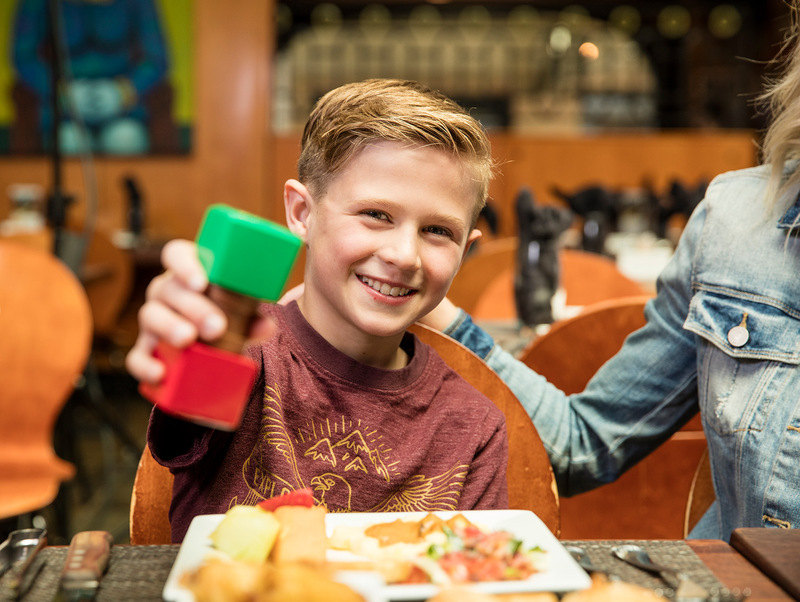 1 Son (11 and under) eats free with Mom’s purchase of a Full Rodizio. 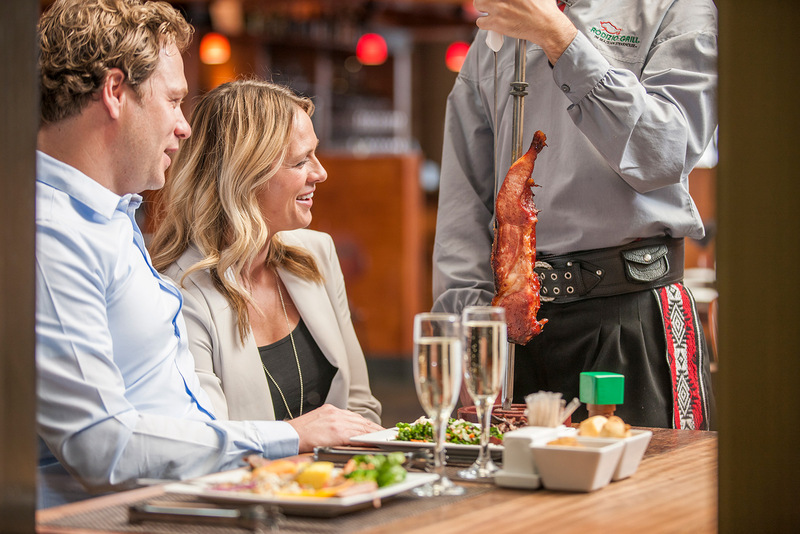 Step away from the boring and indulge in Rodizio Grill’s brunch specials. From 11am to 3pm every Friday – Sunday we offer you a variety of delicious breakfast food in addition to our regular menu. $26.99 per person for a Full Rodizio or $20.99 per person for the Salad Bar option! Following a ketogenic or carnivore diet plan and looking for somewhere to eat out? 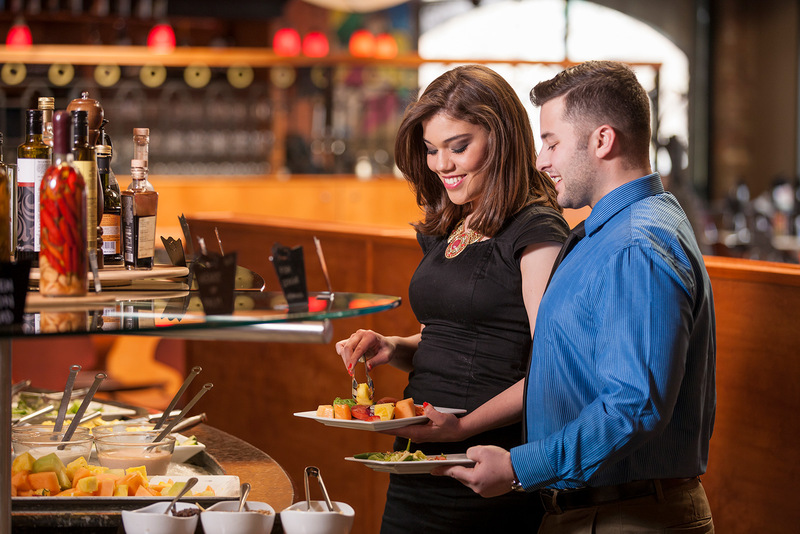 Rodizio offers unlimited meats and salad bar items, so you can enjoy a meal out while sticking to your lifestyle. Book Your Rehearsal Dinner, Shower or Wedding Reception at Rodizio - Bride & Groom dine free with wedding party of 25 or more guests. Want something unique for your wedding celebration? 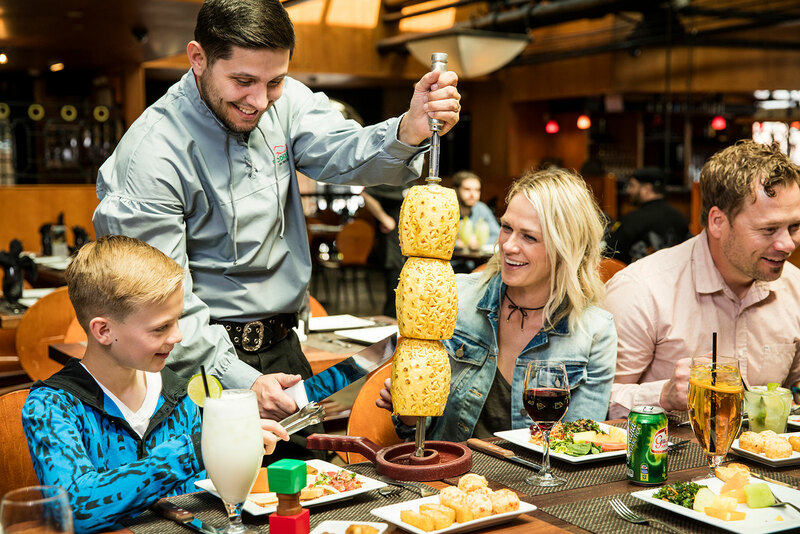 Rodizio Grill will have your guests' taste buds dancing the samba. 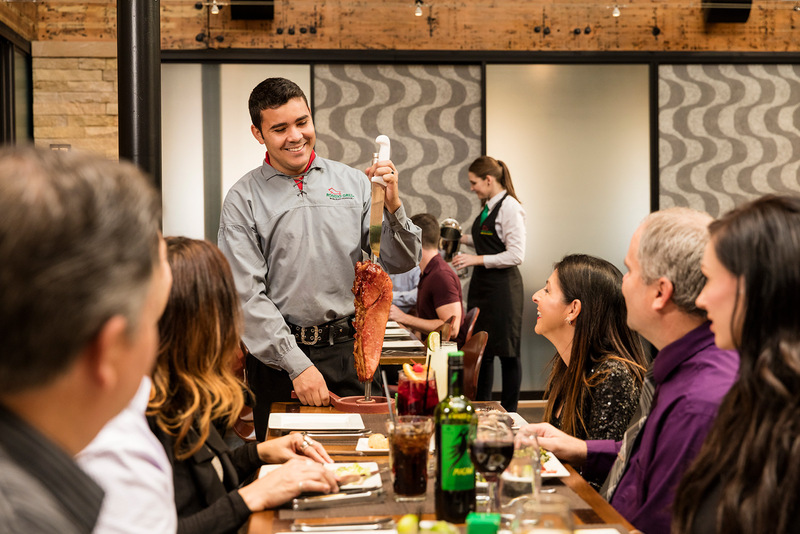 Our authentic Brazilian steakhouse provides a festive atmosphere and unlimited sides, salads and rotisserie grilled meats, carved tableside by our gauchos. 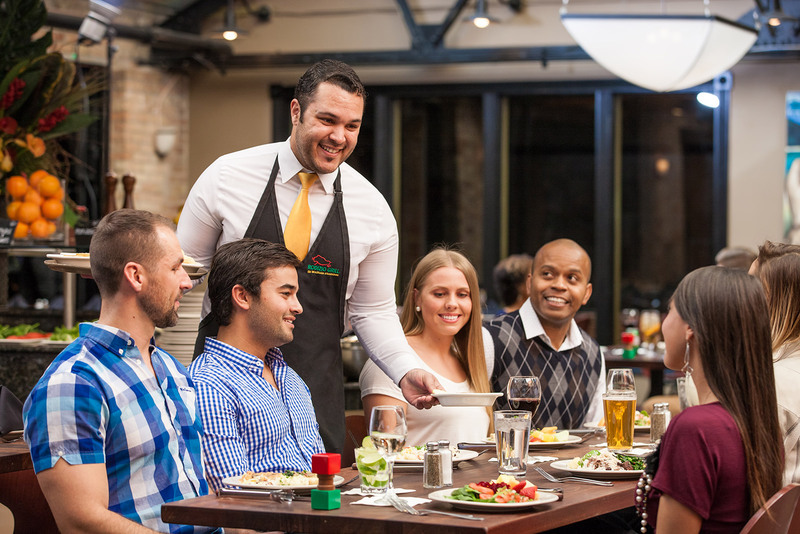 Our unique ordering process allows groups to set the pace of the meal. * Valid at the Mesa location only. Not valid with any other offers, discounts or coupons. We're celebrating our educators by offering 20% off for school employee and a guest with ID. *Not valid with any other offers or coupons. Must show this offer to server to receive discount. *20% off Dinner (Monday – Thursday), and Brunch and Dinner (Friday – Sunday) before 6pm. 10% off after 6pm. Alcoholic drinks not included. Ages 55+ with ID. Valid at the Mesa location only. Not valid with any other offers, discounts or coupons. Available in bar area and select patio seating. Escape the daily grind during Rodizio’s Happy Hour. Enjoy ½ off select well drinks and domestic draft beer, plus $2 off bottled beer, $5 Caipirinhas, $5 Caipiroskas and $5 select Brazilian wines. Enjoy free Brazilian side dishes (Banana Frita and Cheese Bread) with beverage purchase. Find us on Facebook and join Club Rodizio for access to special offers and promotions! We host charity events for qualified organizations at which we donate 15% of the sales generated by the organization's supporters. Rodizio Mesa/Gilbert now offers a unique way to raise money, doing something everyone loves to do – EAT! Monday - Thursday, we host charity events for qualified organizations at which we donate 15% of the sales generated by the organization's supporters. Please call 480-813-5400 and speak with a manager for additional details.